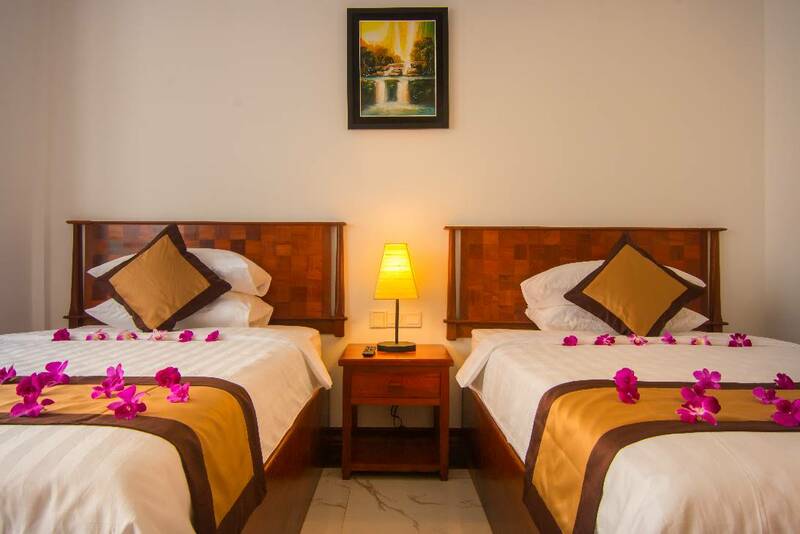 The hotel’s 89 guestrooms are available in 3 categories; Superior, Deluxe and Landmark. 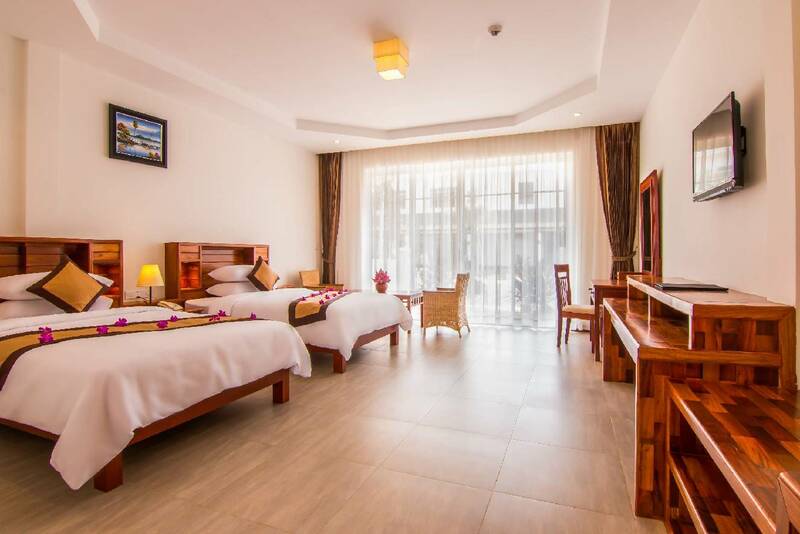 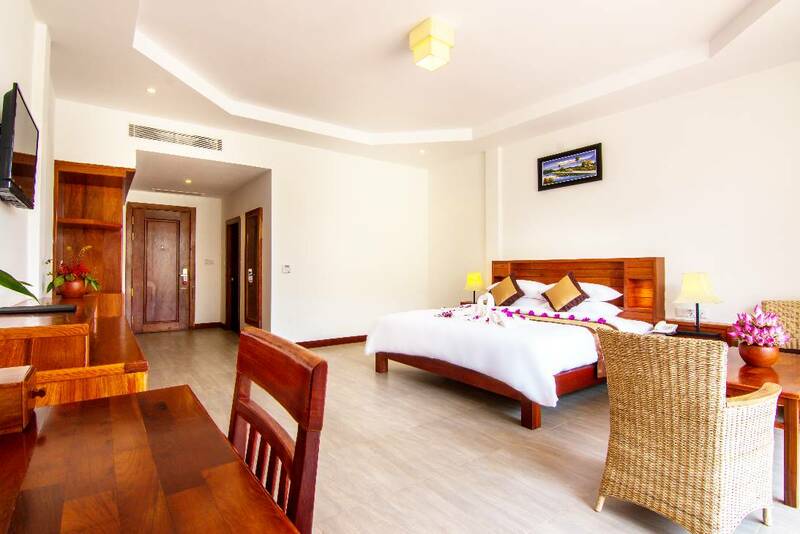 All rooms are beautifully appointed with a mix of traditional, high-quality wooden furniture, and a clean, bright and airy modern décor with a comprehensive list of amenities and in-room facilities. 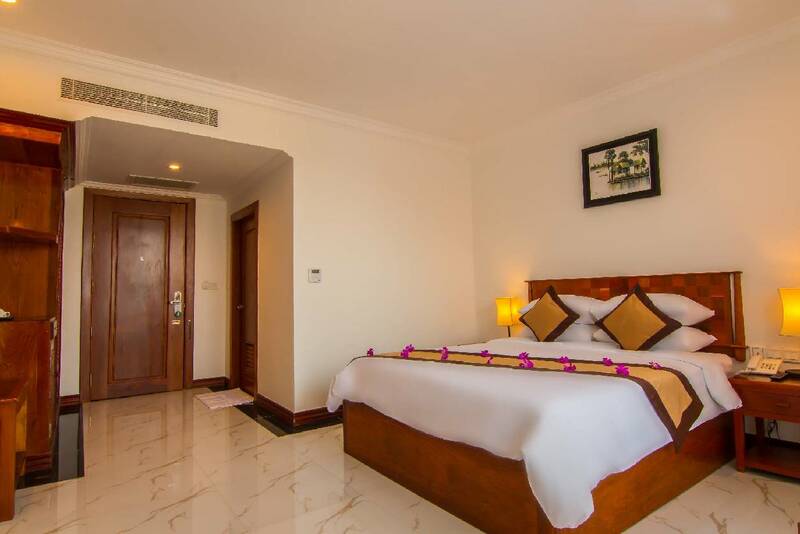 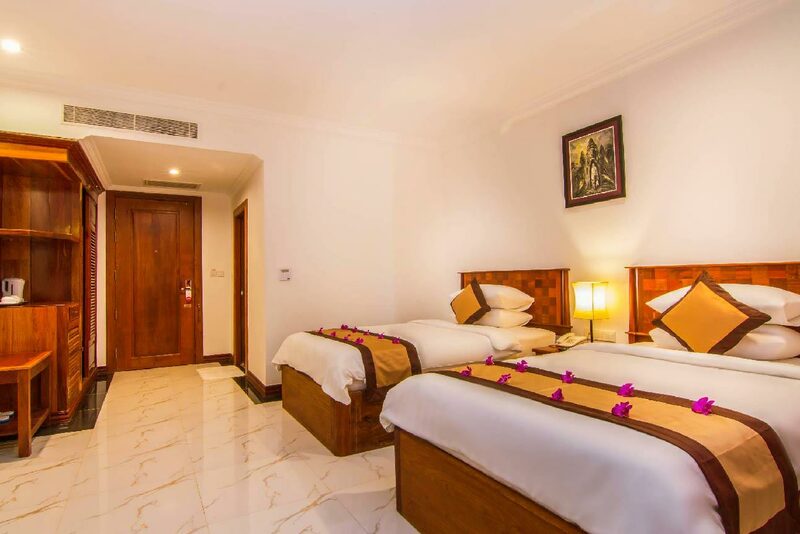 All rooms come with full air-conditioning, a large en-suite bathroom, super-comfortable beds fitted with high quality cotton pillows, sheets and bedding. 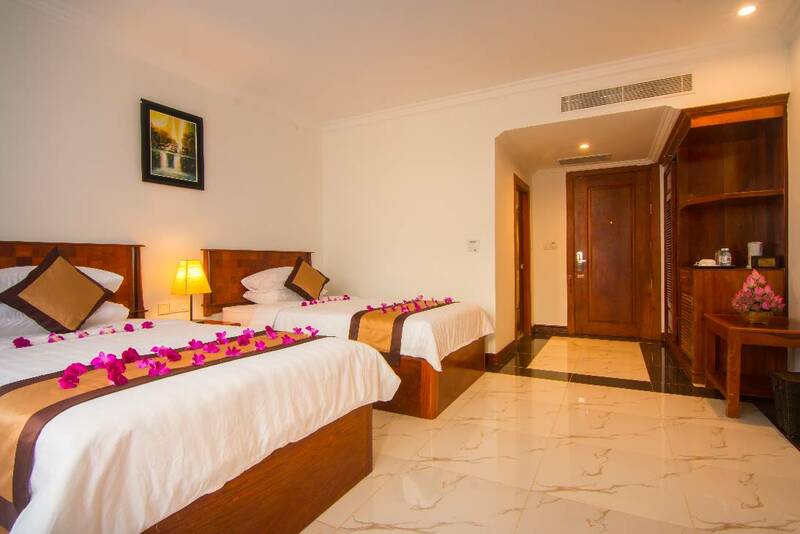 Some tasteful Cambodian artworks put the finishing touches to the rooms. 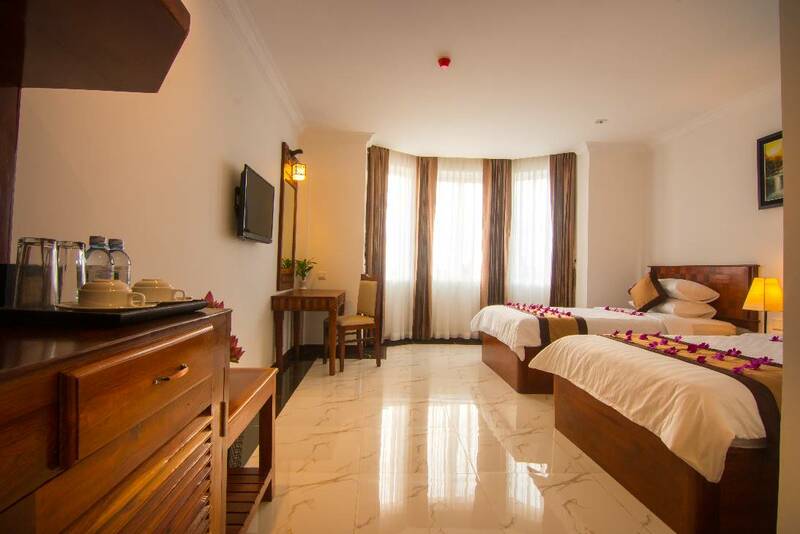 Again the attention to detail and use of only the best quality furnishings is hard to miss.